When you get a verdict in a nursing home case, you generally are home free unless you lose on appeal. In this case, the appellate court affirmed the verdict to the chagrin of the plaintiffs’ lawyers. Wait! What? Here is what happened. A woman suffers a stroke that causes the complete paralysis of all her voluntary muscles except her eyes. Just awful. The condition, known as “Locked-in Syndrome”, requires nursing home care. At the home, she suffers from a sacral decubitus ulcer, also known as a bed or pressure sore, at stage three. While in the nursing home, the ulcer progresses to stage four. Bed sores do not get any worse than stage 4. She transfers to another facility and dies. A nursing home lawsuit ensues. During the trial, plaintiff’s nursing expert testified that defendant’s nursing home breached the standard of care. Another expert tells the jury of the standard of care with regard to defendant’s dietary practices, most notably the treatment of her diabetes. Plaintiff’s claim is fundamentally that the nursing home failed to provide adequate nursing care and nutrition that would have prevented decedent’s bed sore from healing. This just, as I’m sure was the case, made her worse and made her pain worse. But, while they allude to it, the experts never link up the pain and suffering to any breach of the standard of care. A jury in Massachusetts found that a nursing home was negligent in causing an eye injury, awarding $400,000 for the Plaintiff’s pain and suffering during the 45 days between the injury and his death. They did not find that the injury caused his death. The Plaintiff’s counsel said he thought the verdict was high given that the victim was so old. This attorney did a great job, I’m sure, securing this verdict and should be commended for taking the case. But I don’t think it was a “high” verdict. Who would trade $400,000, that they don’t get, to spend their final 45 days in misery? This nursing home verdict never would have been possible if a trial judge had not vacated an arbitration agreement the patient executed when he was 91 years old and suffering delusions. The nursing home arbitration agreement had sought to prevent his estate from filing a civil suit if killed or injured by the nursing home’s negligence. There is an interesting article in the University of Illinois Elder Law Journal entitled “Big Brother” and Grandma: An Argument for Video Surveillance in Nursing Homes. The premise of the article is that video surveillance systems in nursing homes provides additional safety to the nursing home patient and peace-of-mind for family members who have an elderly loved one in a nursing home. The big issue is whether nursing homes are able to refuse care if the family insists on a camera in the patient’s room. Cameras are never the total solution to serious problems in nursing homes that lead to lawsuits. Can they help? Sure. State legislatures should make sure the patients have the right to install cameras in their own rooms. It is fair, it is within their rights as tenants, and it will make patients safer. Nursing homes object largely because they don’t like the idea of the evidence that gets accumulated which shows neglect and poor care. The answer to these concerns? Provide better care. The lead plaintiff seeks a class action after injuries frequently the subject of nursing home lawsuits: disfiguring ulcers on her heels. The nursing home denies liability but has asked a law firm to investigate the allegations. The ole “I didn’t do it but let me investigate whether I did it” plan of attack. Lake Worth Manor has been a troubled nursing home. It has the lowest possible rating from Florida’s Agency for Health Care Administration and has spent 31 days on Florida’s watch list. The nursing home’s co-medical director, who just stepped down from his position, has a history that, well, let’s say it makes you think he should not be running a nursing home. The Irish Times reports on a study from the National Suicide Research Foundation that found that the experience of being abused in an institution had led to huge anxiety among survivors regarding the possibility of receiving nursing home care in later life. There is no real legal/nursing home abuse angle to this story. It does underscore, however, how fragile some patients are both physically and mentally went they enter a nursing home which highlights the obligation of nursing homes to provide not only proper but loving care to nursing home patients. The Chicago Tribune has a story of a lawsuit involving the death of an 89-year-old nursing home resident. In the nursing home neglect lawsuit, the family of woman alleges that staff members at the Arbor of Itasca nursing home failed to investigate when the patient triggered an alarm as she apparently wandered into a courtyard during freezing weather. Suffered from Alzheimer’s disease, she was later found frozen to death. 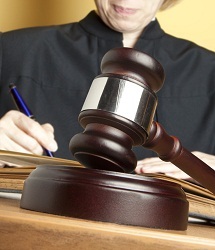 Nursing home lawyers tend to shy away from cases where the patient is almost 90 years-old. But this case has jury appeal because the facts are so extreme. This is hardly “knock me over with a feather” news for nursing home lawyers. Centers for Medicare and Medicaid Services – a federal agency – gave slmost a quarter of our nursing homes the lowest possible rating, under a new ranking system released yesterday. The new five-star system is determined by factors such as staffing and the results of state inspections. The purpose is to simplify for consumers the arduous process of choosing an appropriate nursing homes. The study also tries to rank nursing homes by state: States with the highest percentage of nursing homes with a one-star ranking were: Louisiana, Georgia, Virginia, and Tennessee. States with the highest percentage of homes with five stars were: Delaware, Alaska, New Hampshire, and Hawaii. The Medicare website has a pretty neat way of evaluating the different nursing homes. Click here to see how you or your loved one’s nursing home fares.